At A-1 Home Care, we understand that all the distractions of daily life make it difficult to be there to take care of your Elderly or Senior loved one at all times. We know that this can press a lot of stress and anxiety upon you as well. Our Respite Caregivers, Nurse Aides, and Companions are available to provide personal care and companionship for your loved one for any duration necessary. Whether you need our caregiver services for a few hours each day during the week or for a few weeks while you take a vacation, it’s not a problem for our homecare professionals. 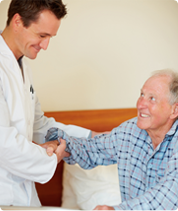 We also specialize in a variety of Elder Care services including After Surgery Care, Arthritis Care, Alzheimer’s Care, Parkinson’s Care, Incontinence Care, Diabetic Care, Cancer Care, and Hospice Care. We can set you up with a compatible respite caregiver who has prior experience with any of these conditions. 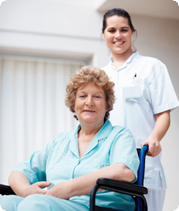 A-1 Home Care is a non-medical caregiver placement agency that has been in business since 1991, and A+ Rating from the Better Business Bureau, and Shield Accreditation. If your loved one is covered by long-term insurance, we accept policies from Penn Treaty, CALPERS, John Hancock, Bankers’ Life & Casualty, MetLife Insurance, and Veteran Administration. Our services reach the communities of Costa Mesa, Westminster, Corona Del Mar, Newport Beach, Irvine, Garden Grove, Huntington Beach, Seal Beach, Los Alamitos, and others in Orange County and Los Angeles County. 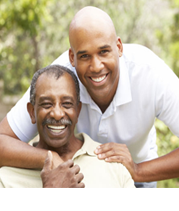 To hire a compatible caregiver in your area today, CALL us at 949-650-3800.